The e-books have evolved, and lots of innovations have taken place in the twenty-first century. The changes are due to the increasing number of audiences who are passionate about reading but have no time going through the print books or long essays. During the 2016 New York City Digital Book World exhibitions, over thirty-five exhibitors participated outlined some innovators have achieved in the e-books development (Joseph & Jha, 2015). Examples of such innovations include the book soundtracks, Narrated Books and the Sky’s the Snippet applications. A Book Soundtrack is a service providing soundtracks for e-books although they are not audio books. The soundtrack magnifies the reading experience through sounds. For example, when one reads a book that involves construction, one can hear the sound of a hammer that hits the nails against the wall. When one is reading a novel that narrates a person walking down the staircase, the reader can hear the sound of footsteps (Joseph, 2015). The Audible and Amazon offer the readers a chance to listen to the audiobook while reading the same on an e-book. The Overdrive Company currently provides the publishers with ability synchronize and embed audio in their e-books (Joseph & Jha, 2015). Other e-books have the capability to highlight each word the narrator reads. The Snippet Company has provided Sky’s the Snippet application that provides a media-rich, short form and clean reading experience to the readers (Joseph, 2015). The Sky’s Snippet allows writers to embed social media conversations, photos, videos and videos into the reading experience. The electronic book is currently taking dynamic trend which will be different shortly from the common tradition already known. The frontline of e-books revolution has revealed trends worth considering. Some of the trends include enhancing and improving e-books, ease, and increase in accessibility and valuing publishers (Joseph, 2015). Consumers and readers have indicated their love and interest for e-books due to accessibility and convenience. Although most people can access the e-books, there is nothing different since most of the e-books are just the digital forms of print media. In future, however, the trend will change. The e-books will integrate an interactive face between the e-book and the readers. Such examples include videos that guide a user to solve complex statistical problems in Math. Audio pronunciations of words of different languages and memory assessments are also helping readers to assess how much they can remember from their readings (Joseph & Jha, 2015). 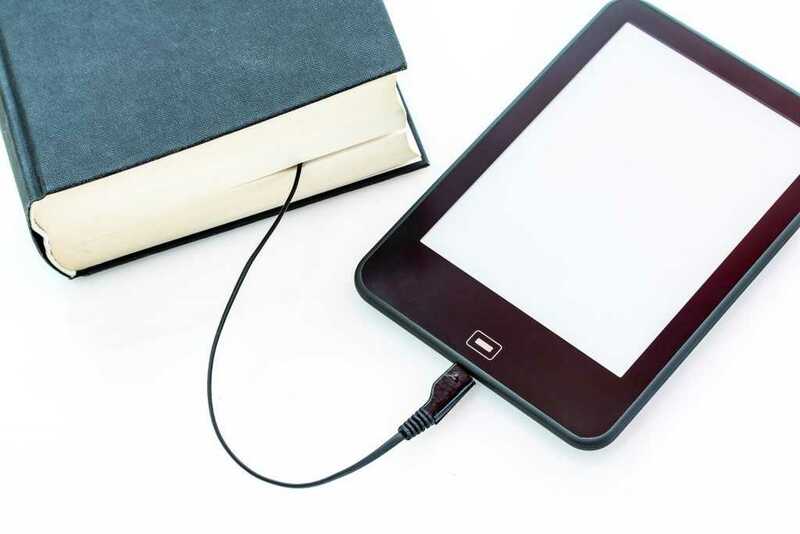 Electronic Books are growing rapidly and reaching a broad range of audiences. Although the e-books are readily available and enjoyable to read, they exhibit some shortcomings. Some of the great disadvantages of e-books include the difficulty in understanding them due to straining of eyes on the screen of a device. Moreover, the e-book reader software has enabled reading of e-books across different devices, although it is quite an expensive costing over four hundred dollars which most people cannot afford. Although the e-books have some shortcomings, the advantages outweigh the disadvantages. Electronic books have some advantages such as the ability to download, save and read a lot of books in a single gadget such as a handset, unlike print books which are heavy to carry and occupy lots of space (Joseph, 2015). The Kindle application software enables wireless downloads of all types of electronic books from the Amazon.com. The software also allows a reader to read books across different devices such as personal computers, iPhones or even Android enabled devices. The e-books are never out of stock, unlike the print books which may run out of stock in libraries or bookshops and stores. The electronic books also do not overflow a personal reading shelf or cabinet as they occupy a small storage in a device and can easily be detected when one is no longer in need of a particular e-book. In conclusion, the electronic books will eventually replace the print media and books due to its benefits to the business model, readers, and civilization. The electronic books have made it possible for everyone who can access the internet to search for, download, save and read any book of their choice. The future generations are more of digital, shopping online virtually everything with no time to run down the street to buy a book.